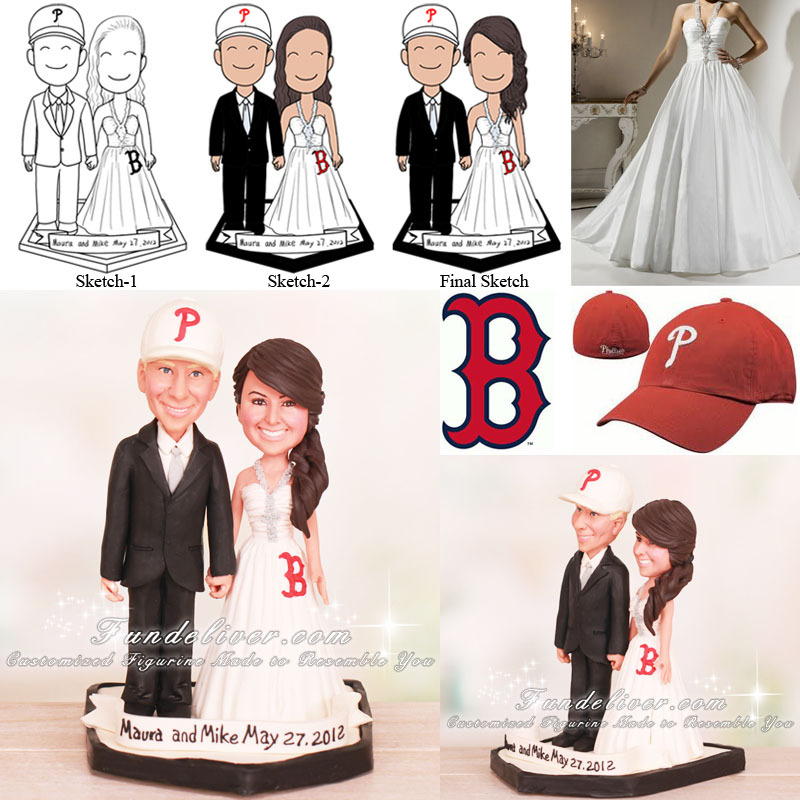 This is a completely customized Phillies and Red Sox baseball wedding cake topper ordered by one of our customers. They would like the groom to be wearing his black tux with a silver tie and his Phillies hat. The hat is white with a red "P". The bride is wearing her white wedding dress. Her hair is pulled to the right side in curls and they would like to have a Red Sox "B" on the bottom of her skirt. 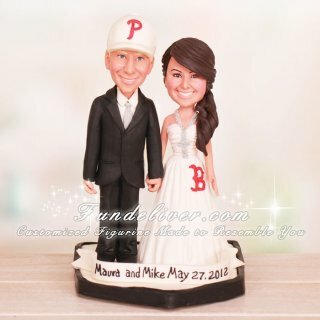 Also they would like the couple figurines to be holding hands, standing on home plate with "Maura and Mike May 27, 2012" written on it.